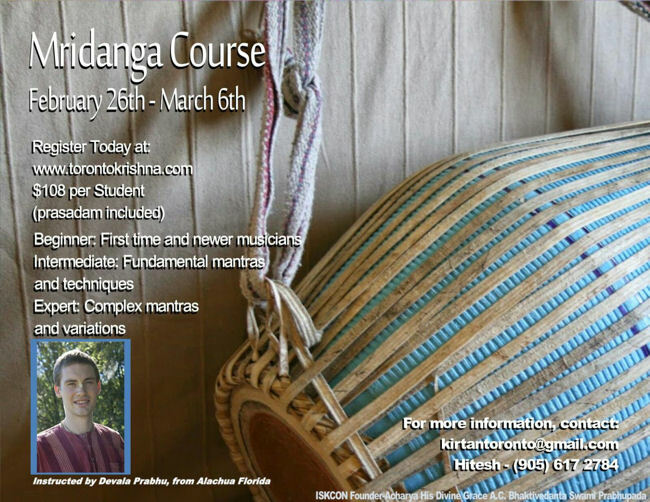 Next Official Mridanga-Drum Course: Feb 26 to Mar 6 ~ The Toronto Hare Krishna Temple! 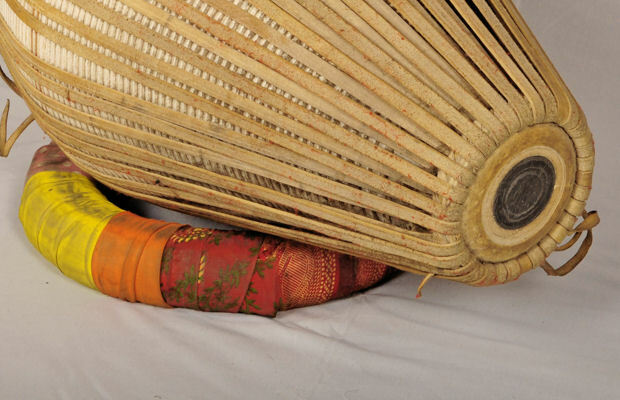 The Toronto Hare Krishna Temple is, once again, offering a workshop for students to become well-versed with the mridanga-drum, which is one of the most revered, enjoyed and vintage sounds of Hare Krishna culture. The course will be offered between Feb 26th and March 6th. The beginner/intermediate session will happen on the weekend of the 26th, 27th and 28th of Febuary, while the expert sessions will happen on the 5th, 6th and 7th of March. Personalized sessions (1-on-1) will also be available to students during the weekdays between February 29th and March 3rd for registered students of the course. You can officially register for the seminar through the form below or by clicking here.